Japan ETF bounced just above 2016 lows. CHAPEL HILL, N.C. — Earnings growth has slowed dramatically, and—believe it or not—that’s good news. 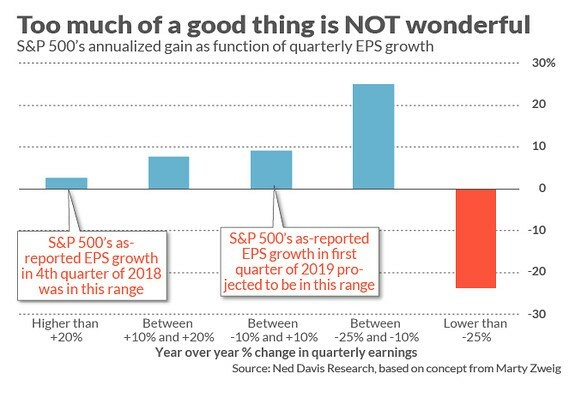 That’s because the stock market typically performs the best when EPS growth rates are in the low single digits (percentage-wise) or even negative. In contrast, the stock market over the last century has tended to struggle whenever earnings growing rates were at or near record levels—like they were last year. To contrarians, of course, this is not a new insight. But, for the rest of us, it’s especially worth remembering now, given that this week marks the high point of the current quarter’s earnings season. 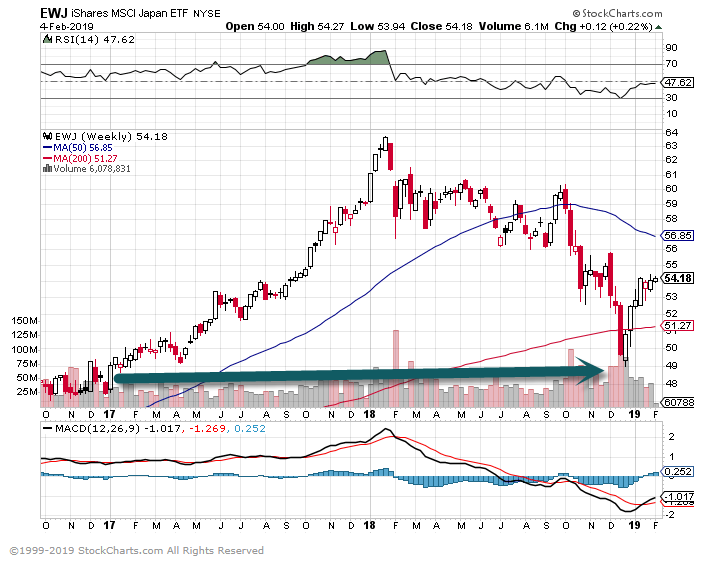 Naive investors are hoping for faster earnings growth, without realizing that such growth doesn’t automatically or even usually translate into a higher stock market. Take a look at the accompanying chart, which reflects data from Ned Davis Research. Since 1927, the stock market has performed the best in those quarters in which the S&P 500’sSPX, +0.68% earnings per share were between 10% and 25% lower than where they stood one year previously. In such quarters, the S&P 500’s average annualized return was 25.0%. When year-over-year earnings growth was above 20%, in contrast, the S&P 500 gained an average of just 2.6% annualized. 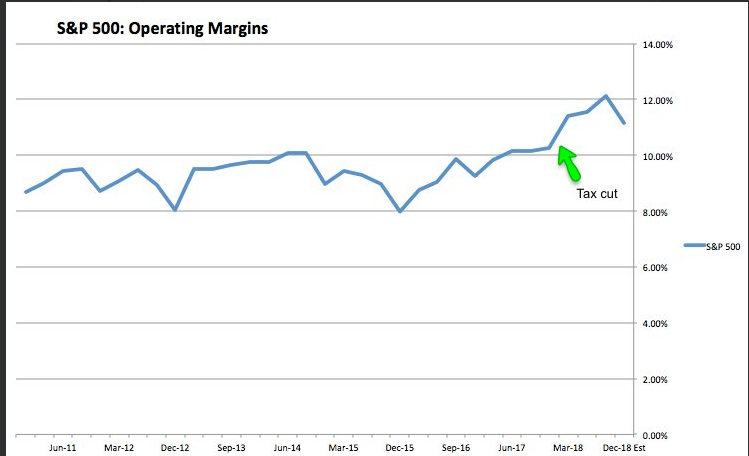 These results help to explain why the stock market struggled for much of 2018, and why it has performed much better recently. The S&P 500’s EPS grew at a year-over-year rate above 30% in the fourth quarter of last year, a rate that falls within the range corresponding to the market rising at an annualized rate of just 2.6%. For the current quarter, in contrast, earnings are projected to grow at a year-over-year rate of 5%, which corresponds to an annualized gain of nearly 10% for the S&P 500—almost four times greater. 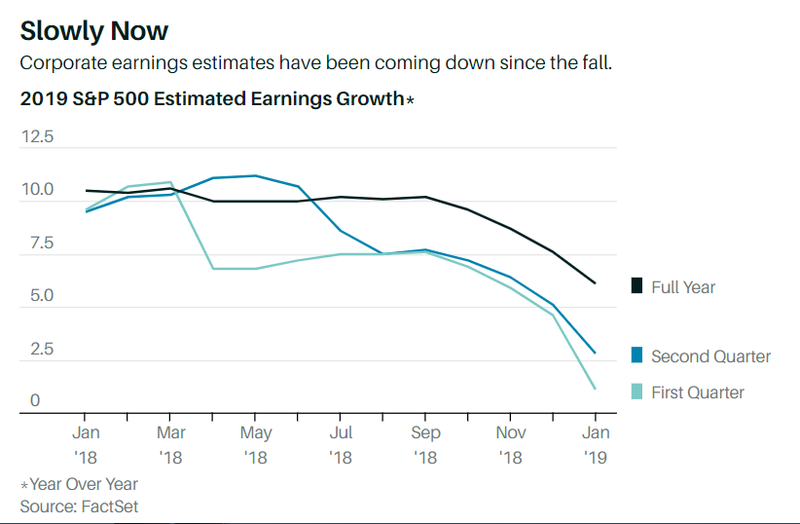 Why would the stock market do better when earnings are growing more slowly or actually falling? A big part of the explanation is that exceptionally fast earnings growth puts pressure on the Federal Reserve to raise interest rates and tighten monetary policy—which, in turn, is bad for stocks. Sure enough, that’s just what we’ve seen. In the fourth quarter of 2018, when year-over-year earnings were growing at a blistering pace, the Fed stubbornly insisted on an aggressive schedule of rate increases in 2019—and the stock market struggled. So far in 2019, in contrast, as earnings growth rates have slowed considerably, the Fed has backed off its aggressive schedule—and the stock market has soared. To be sure, there’s a limit to how much Wall Street will celebrate in the wake of an earnings recession. As you can see from the chart, the stock market typically plunges when earnings on a year-over-year basis fall by more than 25%. But only 7% of quarters since 1927 have experienced such a big decline in earnings. For the other 93% of the quarters, there is an inverse correlation between earnings growth and stock market appreciation. Bear this in mind as you digest companies’ quarterly earnings reports this week. Don’t automatically be upset if the average company’s guidance is for only mediocre earnings growth in 2019. 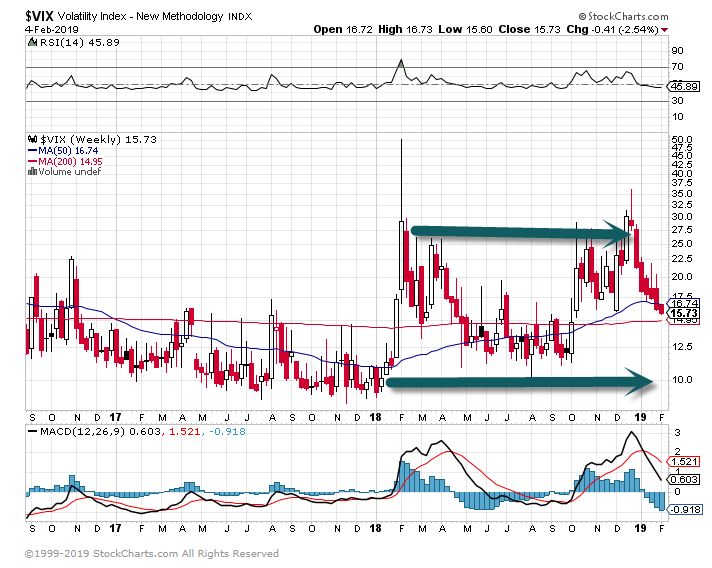 5.Volatility Lower But Still Above First 3 Quarters of 2018 Range. 6.Top of Everyone’s Radar is Fed’s Balance Sheet…Opinion Below. Bill Dudley is a senior research scholar at Princeton University’s Center for Economic Policy Studies. He served as president of the Federal Reserve Bank of New York from 2009 to 2018, and as vice chairman of the Federal Open Market Committee. He was previously chief U.S. economist at Goldman Sachs. 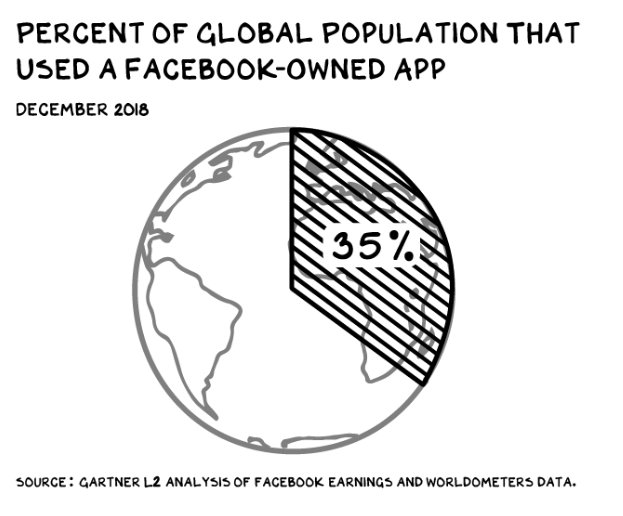 7.Facebook 35% of World Population. What Were You Doing at Age 15? Facebook turns 15 years old today. And really, it’s just like any other teenager—suffering through growing pains, being scolded by authority figures, and serving as a platform for 35% of the world’s population. 8.Integrity is by far the most important attribute of a leader. Society longs for leaders of integrity. Sadly what we often see is a greed, selfishness and a lust for power. Integrity is something that is built over time, not overnight. It can take years to build and be destroyed in one moment. Once trust is lost, it is hard to regain. 7 Deal-breaking behaviours that makes employees lose trust in their leaders. Taking credit for someone’s work. Blaming others and not standing up for your team. False promises to get someone to do something. 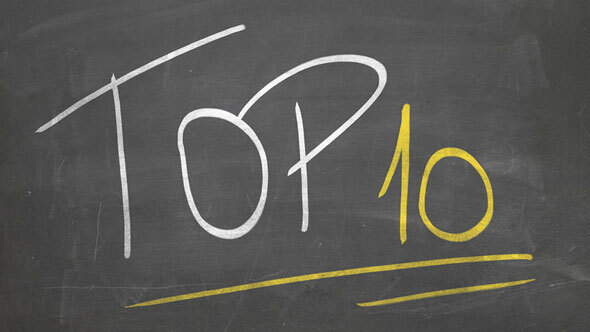 Downplaying employees’ accomplishments to make oneself look better. Not appreciating loyalty, hard-work and efforts of others. Treating others poorly – not showing respect or empathy, micromanaging employees, not trusting them to do their job. People don’t leave bad jobs. They leave bad bosses. A lot of business leaders don’t even realize how closely they’re being watched by their subordinates. Your ability to influence is not just based on skill or intelligence; it’s based on trust and requires integrity, which is the foundation of real and lasting influence. Leadership is about people. Your business is nothing more than the collective energy and efforts of the people working with and for you. An employee’s relationship with their manager sets the tone for their level of commitment to the organization’s success. Threats and intimidation only yield temporary results. You can’t keep throwing your employees under the bus and expect them to give their all. If you are not a person of integrity— your team won’t trust you, vendors don’t believe you, and customers will not support your business. People might tolerate a boring job or long commute, but they are more prone to leave if their boss treats them poorly. Many companies are struggling with low employee engagement. It all comes down to how you treat people. For loyalty, there has to be a relationship that develops between employee and employer and this develops over time through trust that gets built and sustained. Transparency, authenticity and walking the talk are essential for building trust. You can’t buy loyalty, but you can certainly foster and nurture it by being a person of integrity.